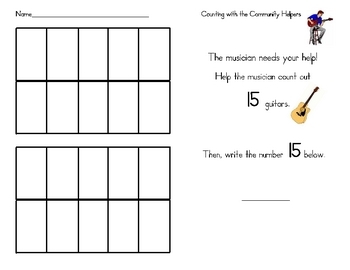 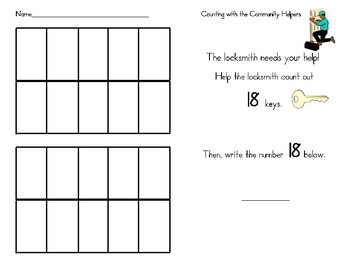 This worksheet is designed for primary students to count, read numbers, and write numbers. 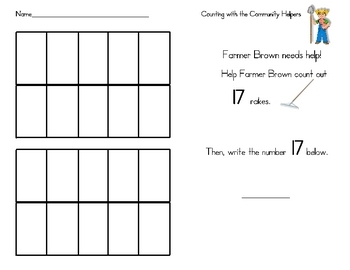 Stampers are a great addition, or they can fill in the rectangles with crayons. 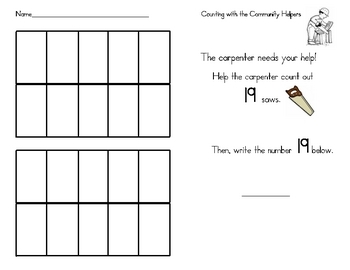 Also displays a community helper and their tools.